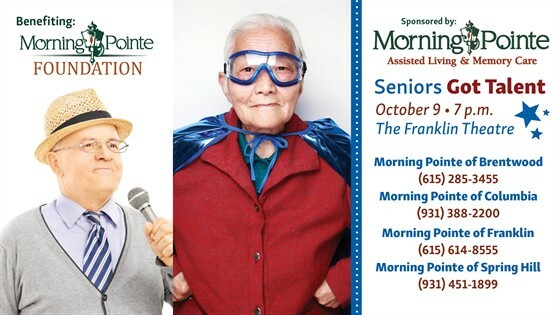 It’s the moment you’ve all been waiting for: the big finale of Morning Pointe Senior Living’s “Seniors Got Talent” competition is finally here! On October 9 at 7 p.m., top seniors will compete for the top prize, performing live for a panel of judges right here at the Franklin Theatre. Get your tickets now before they sell out. It’s sure to be a show that you will not want to miss!